Date: September 21, 2011, 8:30 a.m. – 12:00 p.m.
Laurel Foreman, Hydrologist at NRCS presented information on her hydrologic study of the Otter Creek watershed. The main stem of Otter Creek runs through both West Union and Elgin, and the study seeks to determine how flooding (within Otter Creek, but also within the Turkey River Watershed) may be reduced by the placement of water retention structures. Laurel’s analysis will show a future with nothing done structurally in the watershed, as well as a future with detention structures in the watersheds. The future with detention structures will show a reduction in flooding for the various frequency events (2 yr, 5 yr, 10 yr, 25 yr, 50 yr, 100 yr rainfall events). The Otter Creek watershed was selected for study based on a number of factors, including watershed size (47.2 mi2), the presence of coldwater stream segments, an existing stream assessment conducted by Fayette County SWCD in 2006, and a history of flooding problems. 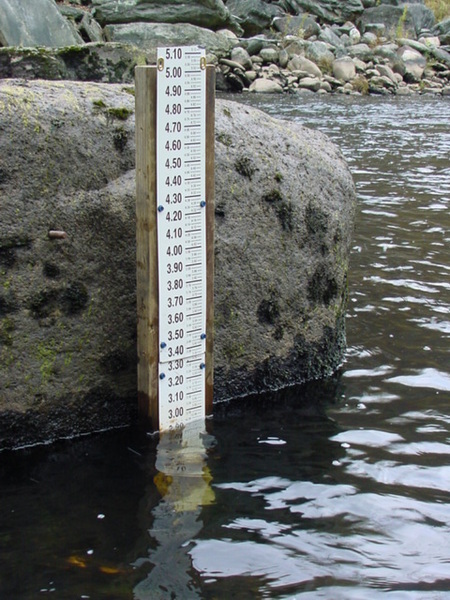 Inputs to the model, known as SITES include a runoff curve number of 74, the time of concentration (i.e., how long does it take for a drop of water at the top part of the watershed take to reach the mouth), drainage characteristics, and rainfall event frequency – determined from Technical Paper 40 (pdf). (Sidenote: new rainfall data from NOAA can be expected in 2013.) 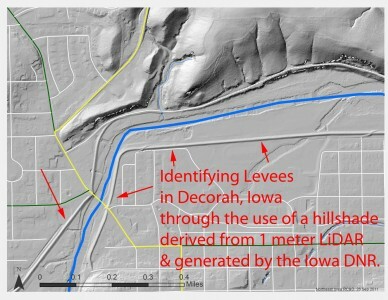 The output of running the SITES model (prior to placing any structures) was then be compared and to the USGS Regulation Equation, WIE (waiting of independent estimates), and the similarly sized Little Paint Creek watershed in Allamakee County (42.8 mi2). Studies are also being done to demonstrate the impact of levees within the watershed. The velocity of the water and the elevation that the water reaches are both impacted by levees. 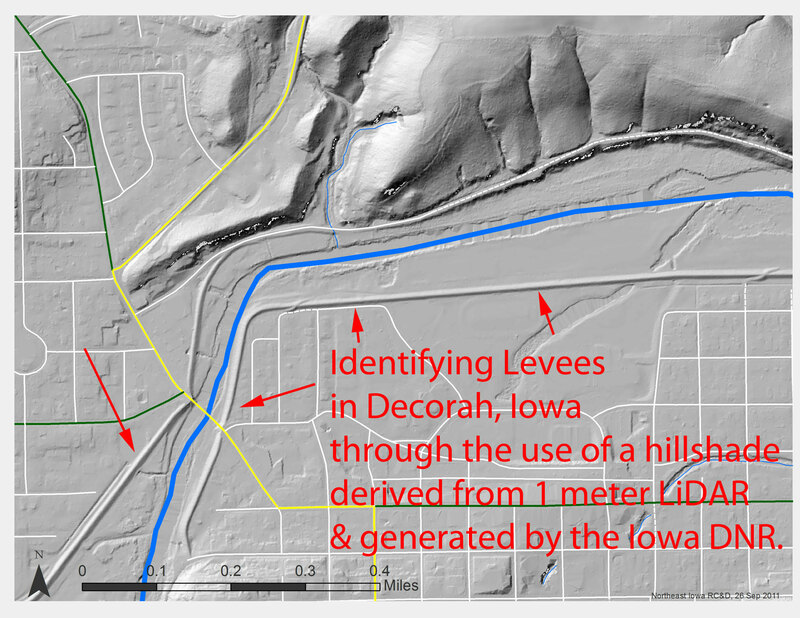 To assist in this modeling, an inventory of levees is being assembled. Do you know a good location in the Turkey River Watershed for a staff gauge? Other options for gathering streamflow data include the use of bridge sensors to electronically measure stream height, or placing staff gauges to manually measure stream height at the same time water quality samples are being collected. The Iowa Environmental Mesonet is a great tool that provides rainfall estimates across the state, but having additional local rainfall data would also be useful. The NRCS field offices in West Union, Elkader, and Cresco are each collecting precipitation data, and Brad will see to it that this data is added to the water quality/quantity data already being collected for the TRW. 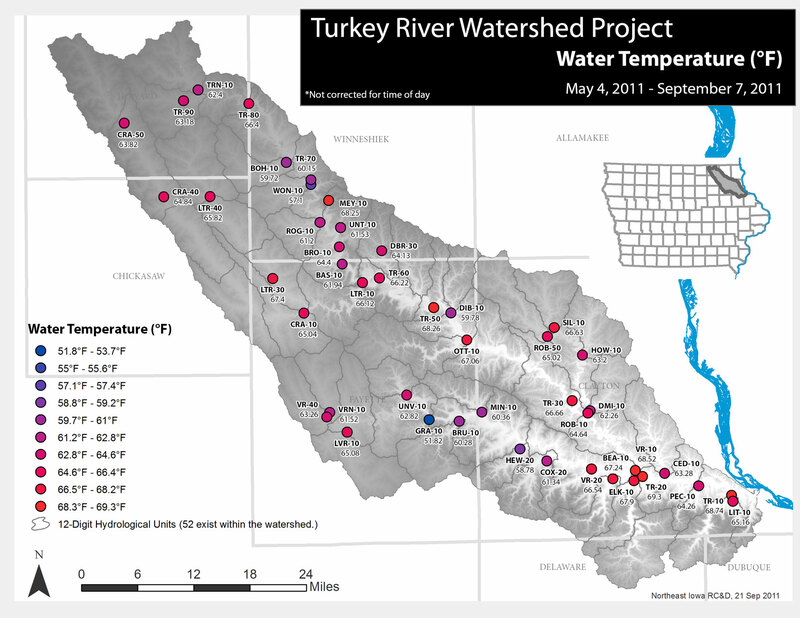 The seven organizations collecting water samples in the Turkey have completed 5 months of sampling at 46 sites, and will plan to add a November 2nd sampling date in addition to the October 5th date. Lynette contacted John Olson who conducts the 305b assessments for the DNR. With the 7 samples collected in 2011 and the 8 samples that will be collected in 2012 (April through November), John will have enough samples to do an assessment for all of the sites. A “State of the Turkey River Watershed” document to be developed for January/February 2012, with input from each of the partners. 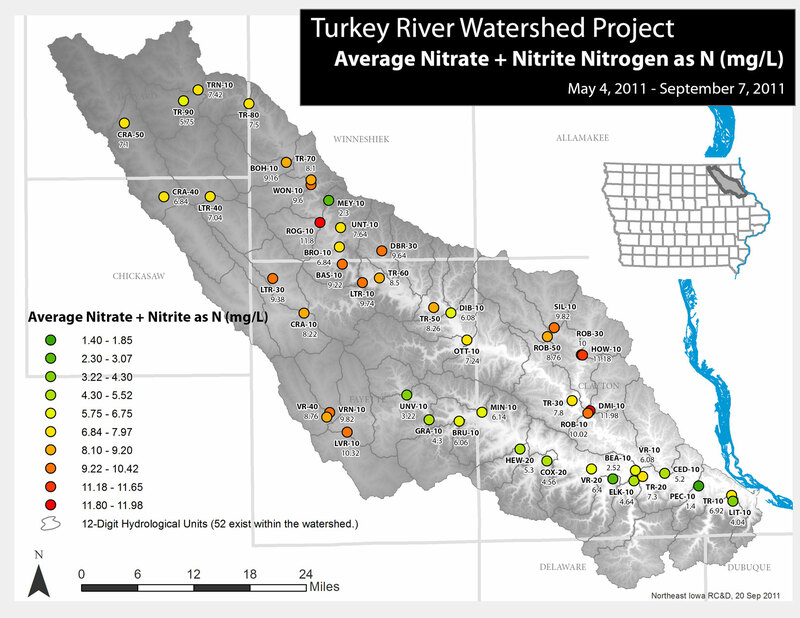 Data for every sample taken as part of the Turkey River Watershed project is now available in a relational database, viewable at http://turkeyriver.org/water-sampling/. Northeast Iowa RC&D has been asked to assist with the development of an application to the Iowa DNR to form a watershed management authority in the Turkey River Watershed. The Iowa DNR and Iowa Department of Economic Development have jointly announced the availability of funding to form a watershed management authority but only six awards will be made within Iowa so it is important that we all work together to apply. A watershed management authority is an agreement between political subdivisions (cities, counties, and soil and water conservation districts) to foster cooperation, work together to address both water quality and water quantity issues, and ultimately to improve conditions in the watershed. 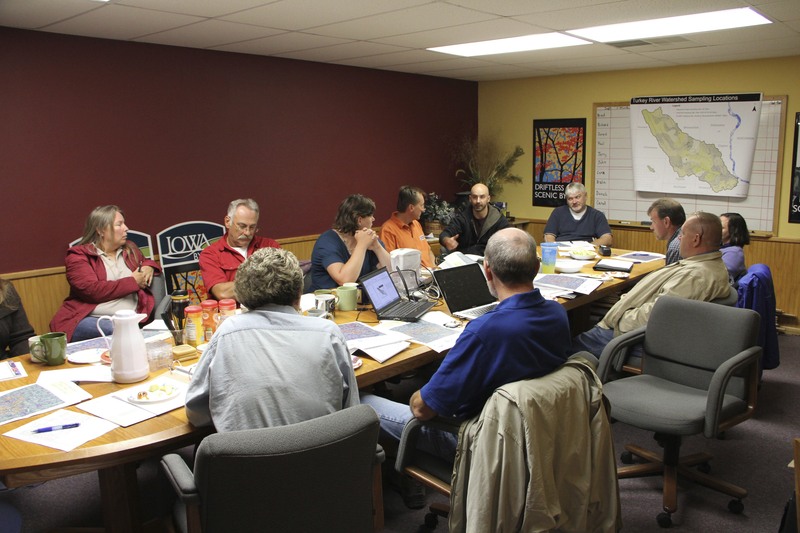 Although one city or one county must be the lead applicant, letters of support from other political subdivisions in the watershed are needed to strengthen an application. That is where we need your help. Clayton County Board of Supervisors passed a resolution on September 21st to be the lead applicant for the Turkey River Watershed Authority application. We now need letters of support from as many of you as possible. But please send your letter to us here at the RC&D so that we can compile them and send them in with the application. Content for your letter of support should confirm you are supportive of the development of a Turkey River Watershed Authority. You can also note how your political subdivision (or representative) is currently participating in the Turkey River Watershed Project (i.e. water monitoring, attending meetings, financially contributing). You should also express your support for comprehensive, multi-objective planning that can take place through a Watershed Authority. If you have not previously participated in the Turkey River Watershed Project you can note how you believe the development of a Turkey River Watershed Authority will help the region add value to watershed management and encourage inclusivity among political subdivisions that might not otherwise participate in the Turkey River Watershed Project, including yourself. Your letter might also note the impact flooding has had on your community or jurisdiction, and how important it is to work together to reduce the severity of flood events.